May 08, 2017: What is the best 27'' IPS monitor to use for PS4 only? Jul 17, 2017: is this best console monitor? Jul 17, 2017: which low input lag monitor? 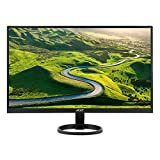 Jul 25, 2017: Looking for a new monitor good for gaming, around $300, with at least two HDMI OR an HDMI and DVI/Displayport input. Aug 28, 2017: Need help deciding between these two monitors. Dec 23, 2018: Secondary 27" IPS Display for my new arms :D, what do you guys think? Apr 14, 2019: About to buy my first build! Let me know what you think about these parts.